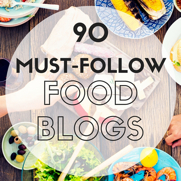 Daily Forage is included in the Gluten-Free category in 90 Must-Follow Food Blogs 2016 by Stone Frying Pans. So honored! Check out all of the valuable resources! Categories include Vegan, Vegetarian, Paleo, Luxury, Gluten-free, Baking, Family, International Cuisine, and Health & Fitness. Something for everyone. Love it! Have you heard of, or ever participated in, a FARE Walk? 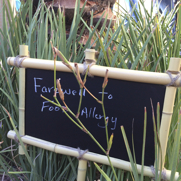 By attending the FARE Walk in Las Vegas, my knowledge and understanding of the seriousness of food allergies was heightened. Food Allergy Research and Education (FARE) is a non-profit organization raises money for research and eduction for food allergy awareness and in search of a cure. 15 million Americans have food allergies, including 1 in 13 children. 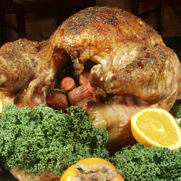 We’ve updated our 2013-2014 gluten free events calendar. Check to see what fun you can get into. If you have an event you’d like us to share, be sure to let us know. 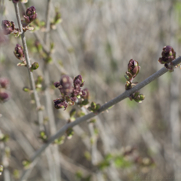 We’ve given Daily Forage a new web design and some cool new features. Be sure to find your favorite recipe, product and restaurant sections as well. 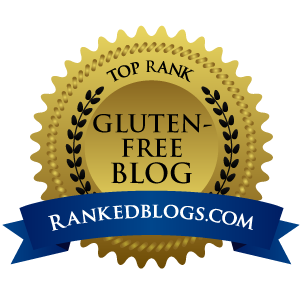 Here’s what’s happening in the gluten-free community June 15-22, 2013: Celiac Awareness Tour – Houston Sat. June 15, Free to Be Camp – Allergen Free Camp June 16-22, Gluten-Free Escape at Camp Gilmont June 16-21. Be sure to check out these two gluten-free and allergy-free events if you’re in the Milwaukee, Wisconsin or Burnsville, Minnesota area. Ernie’s Pub & Grille Gluten-Free Expo and FARE Walk for Food Allergy. We’ve updated our 2012-2013 Gluten Free Events Calendar, providing even more information about national and international expos, webinars, camps for kids, workshops, baseball and golf fundraisers, walks/runs, food fairs, cruises and travel opportunities, and all activities for people with celiac disease, gluten intolerance or sensitivity, or who have wheat or food allergies. We include great organizations like Gluten Intolerance Group, National Foundation for Celiac Awareness, FARE Walk for Food Allergy, and Making Tracks for Celiacs. 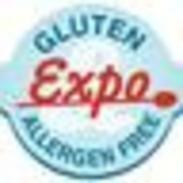 Ernie’s Pub & Grille is having a Gluten-free Expo on Sunday, June 9, 2013. They’ll be sharing gluten-free products from Bob’s Red Mill, Mike’s Hard Lemonade, and Jovial. Ernie’s has gluten-free menus. Thanks, Ernie’s Pub & Grille, for being a member of the gluten-free restaurants Twin Cities community. 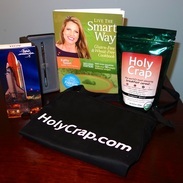 Holy Crap Cereal is the Official Sponsor of the GFAF Expo in Chicago this year. Be sure to stop by and enter for their giveaway, both Saturday and Sunday. They’re also sponsoring the Blogger’s Lounge, and they’ll be sharing cereal with the first 25 show attendees. Will you be the early bird that catches the … cereal? We’re doing a GIVEAWAY at the GFAF Expo in Schaumburg (Chicago), IL. Filled with cookbooks and magazines subscriptions, gluten-free makeup, and gluten-free tasty products, plus a few secret items. Valued at over $150. Enter to Win at the Blogger’s Table! 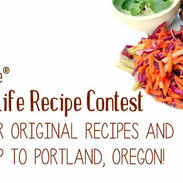 We’re excited to share that Earth Balance Made Just Right is once again having their Spring to Life Recipe Contest. If you LOVE Earth Balance products and you LOVE to cook, and you LOVE to share your passion for food with others, then be sure to Enter to Win great prizes. 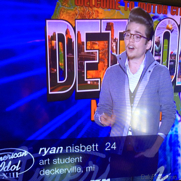 Runs April 15, 2013 to May 12, 2013.